building your personal power and wealth. Welcome to my site. I’m a blogging newbie, so I hope you’ll join me in making it work for you. Since its your working identity that matters, I’d be grateful for feedback. I’m always on the lookout for topics where we can dig a little deeper into working matters. So share your thoughts on what would make for you a helpful blog topic by asking a question or suggesting an idea for a blog article through my contact form. What do I mean by working identity? 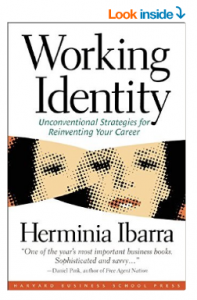 One of my favorite books by Herminia Ibarra introduced me to the term working identity which includes five important concepts. perspective on who we want to become tomorrow. Second, our working identity is a constant work in progress. It finds fuller expression when we encounter new situations. It shape-shifts as we meet new people, enter new environments and take on new roles. Third, working identity is shaped through experience. 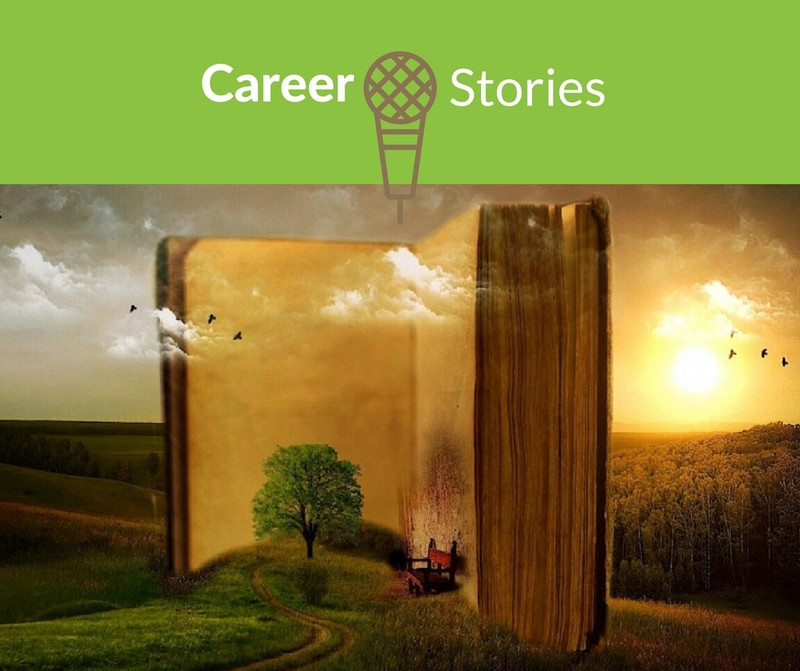 Good or bad, experience helps us discover new career appetites. It can fuel education and employment goals. And it helps us build relationships by presenting our self with confidence to the world. Fourth, paying closer attention to our working identity builds our personal power. And this can lead to increased wealth and life satisfaction, however we define these. Fifth and finally, I like to think that if we pay attention to working identity matters, we can all get closer to right livelihood – a Buddhist term referring to work that is naturally aligned with our innate gifts and talents and enables us to do good in the world. Isn’t that what many of us want, but find so elusive? In this blog, I focus on topics related to three pillars and six building blocks of a healthy working identity. Education and work are two important pathways to securing satisfying roles in line with your working identity. Education and work go together like two ends of a teeter totter. Both are important to a satisfying working life. Yet both are becoming increasingly competitive and complex to navigate. On one end, entry to some kinds of work requires related education and training. On the other end, many educational or training programs require related working experience. Education & training. Education and training can be pathways to great jobs. More and more jobs today demand a university degree or college diploma as an entry credential. As well, technical and professional designations are in high demand in many fields. Once in the workplace, life-long learning is the new normal. It’s not that easy to settle on the right learning goals with so many possibilities. Even if you know what options to pursue, how do you know where to find them? And whether you are eligible to apply. Let’s tackle those challenges together. World of work. The world of work today is vast! In some ways, it seems navigating the world of work is easier today, given access to millions of internet sites. But finding reputable sites is trickier. And deciding on a few relevant job search targets from all that information is even more confounding. Don’t give up the search in frustration. Instead, gain perspective and access quality resources to help you navigate to your ideal working destination. Presenting – in writing. Hand-writing may be losing ground in the 21st century. But writing – to comment, invite, promote or critique – is pretty much a daily task for many of us. This is especially true in our knowledge-based internet-connected workplaces. Learn skills to craft resumes, CVs, letters and business proposals. And find out how to bond with your audiences – be they educators, employers or clients. Presenting – in person. Feeling anxious about personal presentations is common. For example, have you ever felt awkward to meet new people at a networking event? Or experienced sweaty palms and rapid heart rate in an interview? Conversely, you can overcome your nervousness with preparation and practice. Learn to develop confidence, poise and presence in face-to-face situations from cocktail parties to interviews and business presentations. As a result, you will stand out, create opportunities for yourself and earn the offer. It’s easier to do serious career thinking and conduct the job search when we’re hopeful about our future. When we’re open to new possibilities, and supported by healthy social relationships, especially the one we have with ourselves. Emotional and financial resources can propel us toward or hold us back from a positive future. This blog aims to help you move forward. Personal Power. We can all use a little more personal power as we establish new career goals, pursue higher learning, search for meaningful work and make it through our work day grind. Build in time to think about what’s important to you. Discover ingredients that bring out your best and resources to dig a little deeper into your sources of happiness. Then give yourself permission to let these define your working identity. Money matters. Studies show that after a certain point, money does not make you happy. But lack of money can be a tremendous source of unhappiness. This is especially true if you feel underpaid, undervalued and trapped in the cycle of under- and unemployment. Maybe dependent on others. Or worse still, in a job you hate, only for the cash. Instead of struggling financially, discover ways to fund your education, negotiate your worth, and land business deals with assurance. What about my working identity? During the week, I work as a Career Counsellor at the University of Toronto. Outside of work, I write from home, tucked away in the Northumberland Hills near Port Hope, Ontario. In my spare time, I walk my dog, Monster or cycle with my partner, Pete. These two characters make frequent guest appearances in my stories. If you want to know more about my professional background, visit my About Ruth page or check out my LinkedIn profile. And what does an acorn have to do with working identity? The acorn came to Pete and me in the hot tub one starry, starry night. We were brainstorming for a symbol to illustrate career development and growth A symbol to illustrates the longer term impact of day-to-day and year-to-year actions. Finally, we wanted one that emphasized the importance of environment. After all, our working identity is shaped through our many education, work, community, recreational and social environments. As we’re nature buffs, we liked the acorn – it’s a powerful symbol of growth, strength and perseverance. Planted in the right environment, it has the potential to flourish. Thanks Anita Macklin for your beautiful graphic rendering! I look forward to learning with you, growing with you, and hopefully inspiring you to action. Join me on my blogging adventure. I value your reactions to my site and thoughts on what quality information and skill-building tools will be helpful for your working identity matters.